It’s lots of Natural Blue sapphires! Literally. 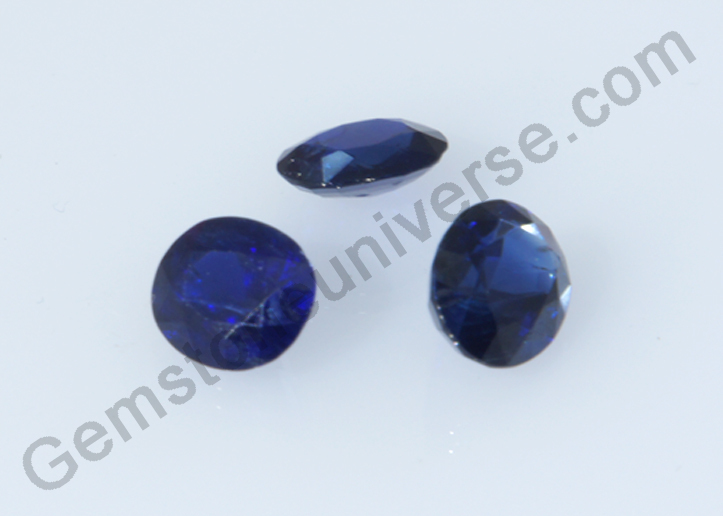 Presenting four new lots of natural unheated Jyotish quality Blue Sapphire. Feast your eyes on nature’s bounty. Each of the gemstones is handpicked and brought to you after thorough assessment. They are devoid of any flaws that shastras point out to watch out for. These Blue sapphires come in a wide range of cuts and shapes (there are ovals, cushions, squares in mixed cuts and step cuts) colours, carat weight (ranging from around 2 carats to over 10 carats in a single stone) and have good clarity. The price range is also wide, ensuring that you will find something suitable. 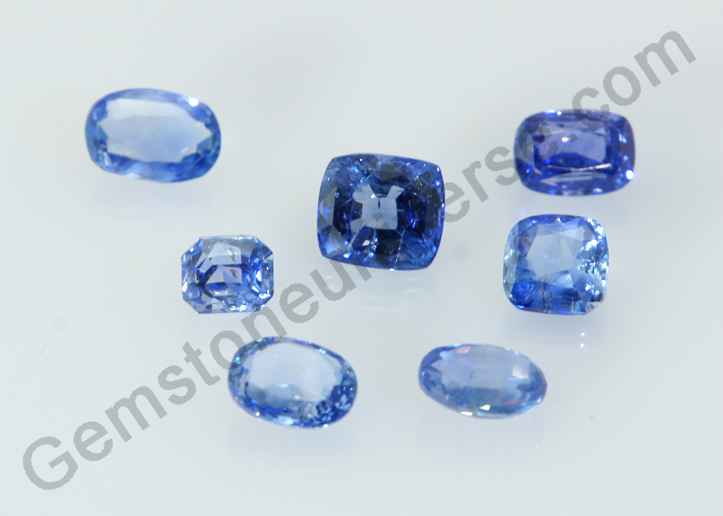 Gemstoneuniverse brings you the best of Ceylon natural blue sapphires and a small lot of powerful Burmese blue sapphire. – Has palpable Saturn’s planetary energies coursing through them. The best for the best. Just as a gem for a gem. These are mesmerizing gems and you could just remain stuck gazing at nature’s work! A mix of Ceylon Blue Sapphires with varied colored blue sapphire. There are a couple of rare indraneelams. Ahhh! How nature celebrates color! 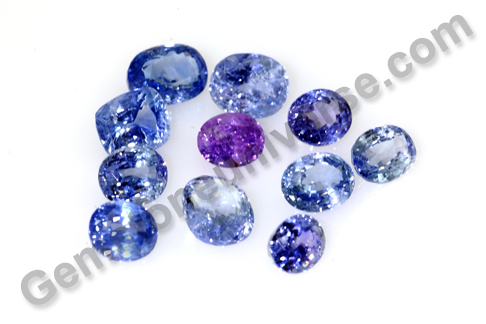 These are a small selection of fine Burmese Blue Sapphire. High quality rubies and Blue sapphire have been mined in the Mogok valley of Burma. 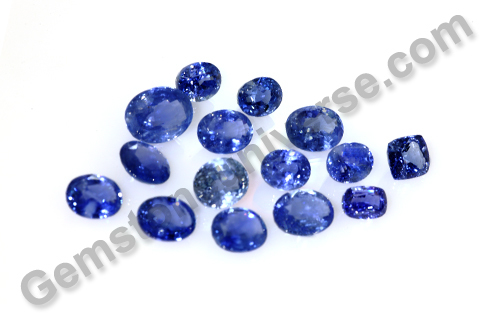 It is a fact that a high quality Burmese Blue Sapphire will easily fetch a price that will be second best to only the now unavailable Kashmir Blue Sapphire. The certification and appraisal of these lots is complete and you should have them made available in the online inventory within 2-3 weeks. Now that you have a delectable range before you, go ahead and take your pick!! Comments One look at the Talisman ring featured today and you know it is something extraordinary. Take a look at the splendid natural Chrysoberyl cat’s eye gemstone set in Sterling Silver as a Ketu Talisman ring. It is a Sri Lankan cat’s eye of 2.04 carats displaying translucence and sharp chatoyancy. This cat’s eye is a honey gold in colour with shades of green giving it a great appeal. Note that the symbol of Ketu stands in relief on the shanks. This is actually one of the first of the Planetary Bhasma Rings that Gemstoneuniverse has decided to launch for patrons. What makes it extra special is the tubular design along the sides of the gem in the ring, has Ketu’s planetary herb Bhasma / sacred ash sealed within it. Please watch this space for more on Planetary Bhasma rings. The launch with elaborate details will feature here shortly. The patron had ordered this ring as additionally out of sheer curiosity while the Planetary Bhasma rings were still being worked on, by the Gemstoneuniverse team. We are delighted to share with you that the patron has good results to report. According to Vedic Astrology, natural chrysoberyl Cat’s eye, also known as lehsunia, vaidurya and bidalaksh, is a phenomenal gemstone of Ketu or South Node of the Moon. It can used to harness the powers of Ketu and bring about more grounding, peace and stability in life as planetary periods of Ketu or certain specific placements of Ketu in the birth chart can be very difficult for the individuals. Comments It’s the feel good factor in planetary gemology. The Yellow Sapphire is a gem that infuses a subtle warmth and happiness in the mind just by looking at it. Featured today is a fine rich butter yellow colored Sapphire of 2.08 carats from the Ratnapura mines of Sri Lanka, set in a 22 karat yellow sapphire Gold ring. This lovely oval shaped gem has electric lustre and excellent clarity. Natural Unheated yellow sapphire or Pukhraj is the gemstone of Jupiter/ Brihaspati/ Guru. 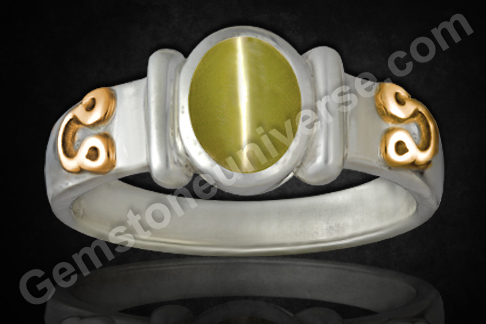 A talisman made with a natural yellow sapphire is used to harness the benevolent energies of Jupiter. 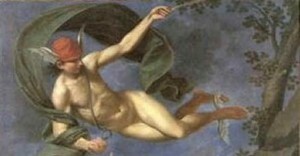 In Vedic Astrology, Brihaspati or Jupiter is regarded as the mentor of gods. The matters of law and justice fall under his domain. It is almost as if the concept of his position of upholder of justice finds physical manifestation in the Solar system also, Jupiter is the heaviest planet (Guru means heavy in Hindi). He is placed centrally with 4 planets on either side, making is position just right to give the balanced view/ objective judgement. To view Yellow Sapphire price and inventory please click here. Comments The gemstone featured today is aptly known as ‘Ratnaraj’ or the King of Gemstones in the world of colored gemstones. And why not! 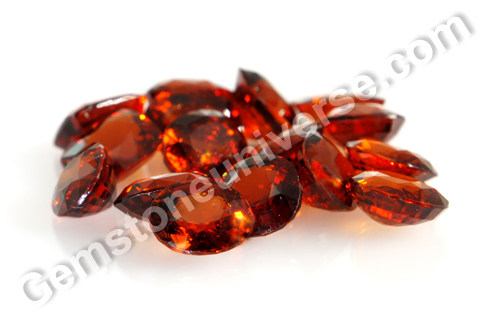 It is the gemstone of Sun – the King of the zodiac. 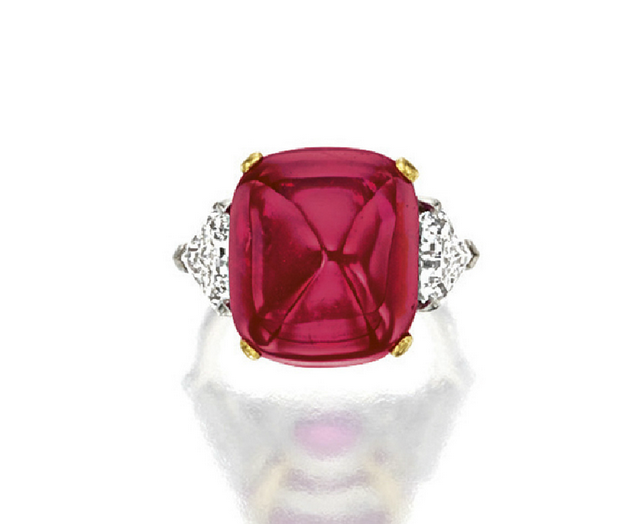 Have a look at this beautiful natural unheated ruby from Tanzania. This small oval parcel of delight at 1.34 carats is a delectable pinkish Red in color and has been set in White Gold as a ladies Ruby ring. The gem has superb clarity. 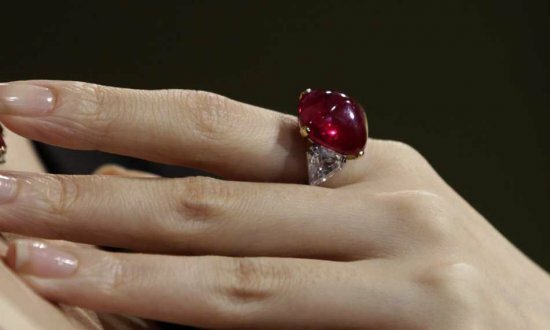 There is almost no supply of good natural ruby in the gem markets. Jyotish grade ruby for harnessing Planetary gem therapy benefits needs to be flawless, unheated and untreated in any manner. However, most of the ruby available widely is glass-filled or heated to enhance color and make it more appealing visually. 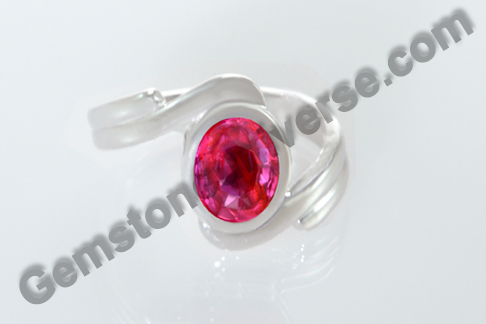 Treated ruby cannot serve the purpose of a jyotish gem. Mining activity in African belt across Mozambique and Tanzania has yielded some good reserves of Ruby but the price for this Ratnaraj is always on the rise. A fine natural unheated ruby or manik as it is known is the gem of Sun or Surya. Resplendent and full of glory like him, this gem is used to harness its energies. Take a look at this stunning 27.67 carat sugar loaf cabochon Burmese ruby from Mogok flanked by 2 shield shaped diamonds which went under the hammer in early 2011 at Sotheby’s, Hong Kong. 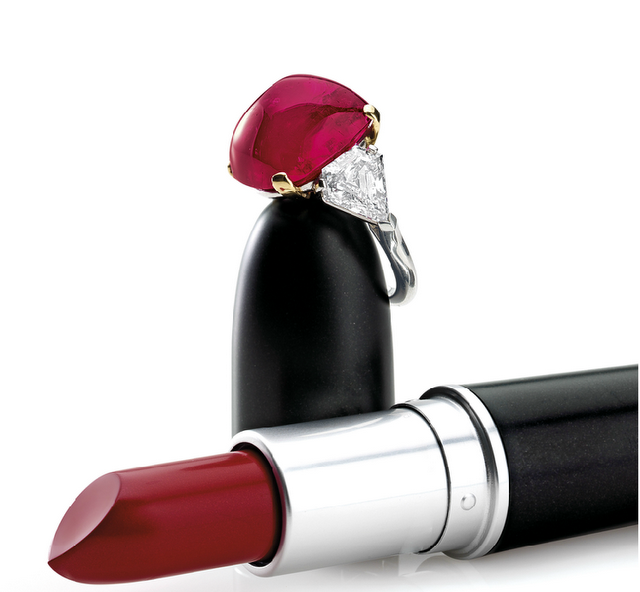 This single Bvlgari ring fetched USD 2,249,160.51!!! That’s how precious and rare rubies are. 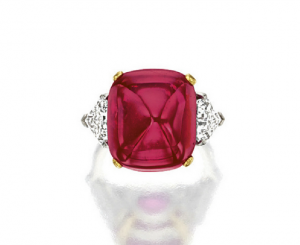 To view natural ruby prices and inventory, please click here. Comments The talisman being featured today is certainly exceptional. 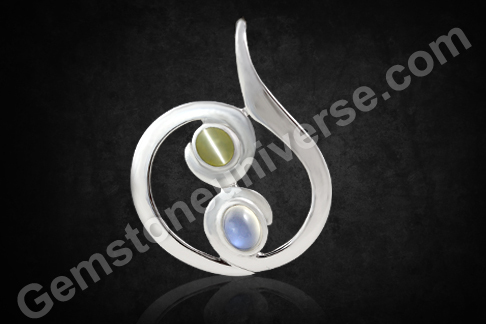 It is a new design that incorporates two energies that deeply impact the human life. The Pendant featured today has a harmonious blend of the energies of the planets – Ketu and Moon in a beautiful setting. It has a fully natural Chrysoberyl Cat’s eye (also known as Lehsunia/ vaidurya in Hindi) of 1.73 carats from Sri Lanka ensconed on one side. The gem is a lovely translucent Neptune green cabochon with sharp chatoyancy. On the other side is a fine blue moonstone (also known as Chandrakant in Hindi) from India, 2.62 carats in weight, translucent white with exceptional blue adularescence over the dome of the cabochon. The similarity of the two gems in shape (both being cabochons), as well as both being phenomenal gems (one displays adularescence and the other chatoyancy) is a factor that helps in combining to make the talisman aesthetically appealing. The blend of Lunar and Ketu energies in a Kundalini like design make it a powerful talisman too! In Vedic Astrology while Moon / Chandra is the significator if mind, Ketu is the South Node of the moon – a karmic planet signified by the lower half of the serpent, that greatly aids spiritual evolution, aside of its capacity to bestow tremendous sudden wealth. Comments Planetary Gemstone Therapy has its benefits for one and all. If the gem therapy implementation is done correctly, following all the recommendations to the T, one can expect to gain the best results. Featured today is a natural, unheated Ceylon Yellow Sapphire of 1.55 carats. 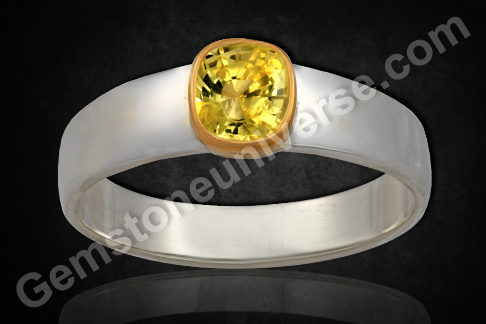 It is a golden butter yellow color gem that has been set uniquely with the seat of the gem made in 22 karat gold and the shanks of the ring in Sterling silver as a Men’s Yellow Sapphire ring. Natural Yellow sapphire is one of the most available fancy colored sapphires. 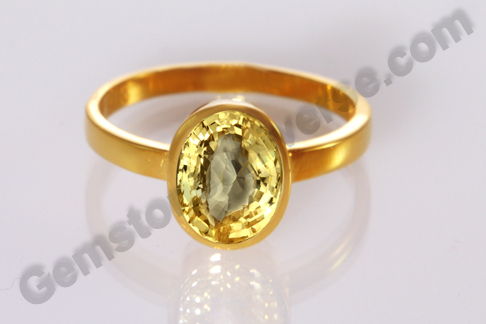 The problem though arises in finding a flawless yellow sapphire with good color. Since the yellow sapphires have a light color and good transparency, flaws are easily detectable. Light colored yellow sapphires are available fairly in large number but the ones with rich canary yellow color also know as the lemon yellow sapphires in the West, are a rarity. It is due to this demand for the rich lemony color vis-à-vis its rarity (and therefore the handsome premium it commands) that the market for heat treated sapphires has spawned. 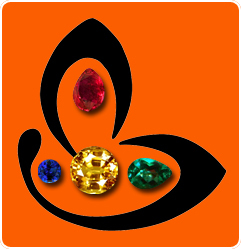 Gems with artificially enhanced color are available at a fraction of the cost of a natural unheated gem with rich color. Such gemstones have no use for purpose of Planetary Gem therapy. Natural yellow Sapphire also known as Pukhraj/ Pushyaraag in Hindi is the gemstone of Planet Jupiter/ Brihaspati / Guru in Vedic Astrology and is used to harness its energies. Comments Grandeur and richness have their own identification marks and the way nature stamps these attributes in her special ways, causes the end product being nothing short of spectacular.Man may move on cue from nature, creating things in the likeness of her finery, but cannot even begin to catch up with her masterful ways and surprises. 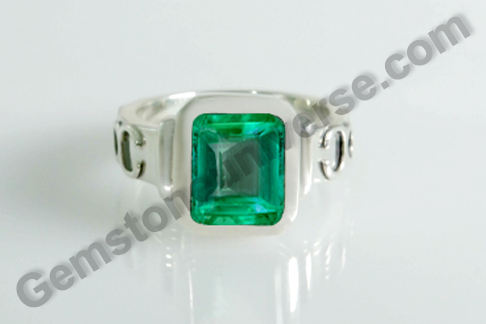 Featured today is a fine classic emerald cut natural Colombian Emerald of 2.73 carats, set in Sterling Silver as a Mercury Talisman ring. This particular emerald has great clarity along with splendid color that is resembles the Korean Grass Juice (Well, that is the preciseness of grading color when it comes to colored gemstones!). Natural emerald or Panna is the gemstone of Planet Mercury / Budha, according to Vedic Astrology. 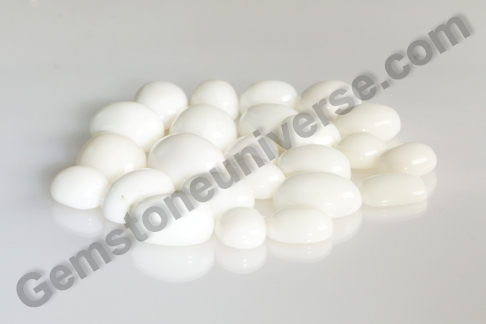 A gem that is natural unheated and devoid of treatment in any manner delivers the best Jyotisha results when used in a consecrated and energized talisman. The planet Budha is true to its name – it is mercurial in nature and hence individuals governed by Mercury like to do things fast, are active and get bored easily with things that lack pace. It is also evident in their ability to thrive in environments that bring new changes everyday.